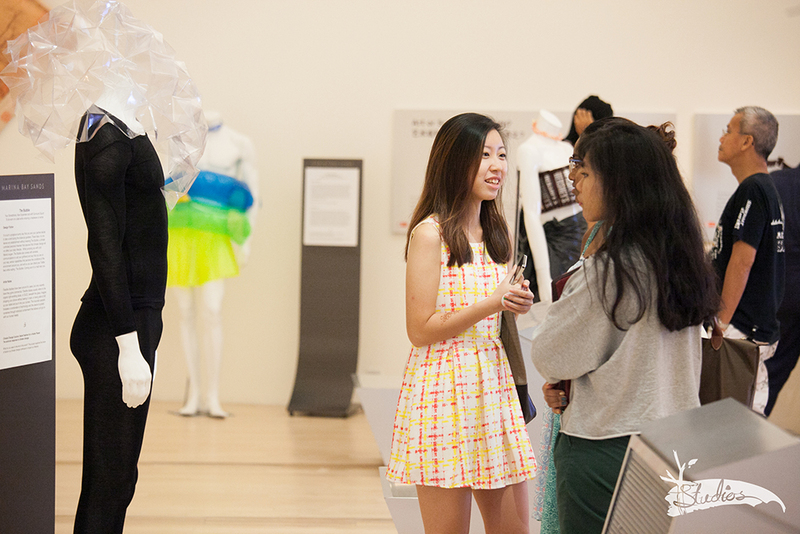 On 10 November 2013, students from Tembusu College as well as artists-in-residence Catherine Young and Michael Zick Doherty held an exhibition called Sunday Showcase in the ArtScience Museum at Marina Bay Sands. Both Young and Doherty were in Singapore for four months as part of the 2013 Art/Science Residency Programme. The programme was a partnership between the ArtScience Museum, the National University of Singapore (NUS) Arts & Creativity Laboratory, Tembusu College, and the Singapore-ETH Centre’s Future Cities Laboratory. 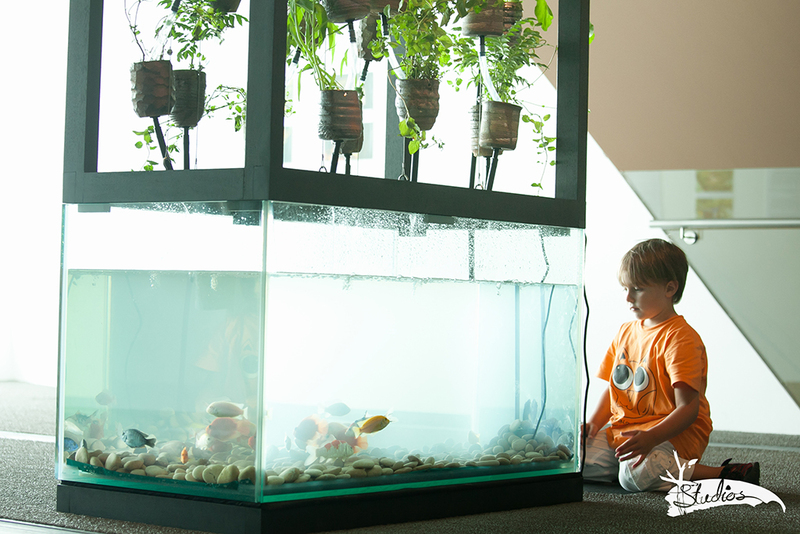 Doherty presented his Urban Food Growing Lab, an aquaponics system that attempts to capture the aesthetics and culture of Singapore through his collaboration with the residents of the Thow Kwang pottery jungle. According to Doherty, the primary goal of the project is to reconnect the community with the process of growing food by providing growing systems that can be implemented in virtually any space. Young’s The Apocalypse Project is a speculative design research inquiry, exploring our possible lifestyles in a future affected by continued climate change. It comprises three projects that explore different aspects of the topic – Climate Change Couture: Haute Fashion for a Hotter Planet, Planet Earth vs. Humanity: The Court Trial, and The Apocalypse Workshop. More information on her work can be found at her website http://apocalypse.cc/. Students’ works were selected from Tembusu College’s two Senior Seminars: Climate Change and Singapore as ‘Model’ City? Projects from the Climate Change Senior Seminar involved imaginative, hand-built models meant to provoke a critical reflection on the many possibilities climate change may bring around the world. The module prompts students to rethink climate change not just as an environmental issue, but through an interdisciplinary lens involving sociological, technological, philosophical, poetical, and historical lines of inquiry, among others. Singapore: Model City or Model Cage? The Singapore as ‘Model’ City? Senior Seminar produced urban intervention projects that engaged with research conducted by Future Cities Laboratory Module X on the interrelation between density, public space and the quality of life in HDB precincts. The works were inspired by the interplay between fine art, architecture, performance, installation, street art, activism and urbanism. Fundamentally, they were grounded in the understanding that the city’s façade is not a permanent fact, but a work in progress. There were a total of nine works presented at the exhibition, which saw over a hundred visitors that busy Sunday. One of the projects, a video game entitled Climate Change Heroes!, was featured in the thematic magazine One Imperative and can be found here: http://www.oneimperative.com/2013/12/11-replay/.